Fedora 21 and later releases include the option to also use the new Wayland as well as the existing X11 Window System to display graphics on the screen. While Wayland provides compatibility for existing X11applications, configuration of this is not yet 100% compatible with using X11 Window System natively. 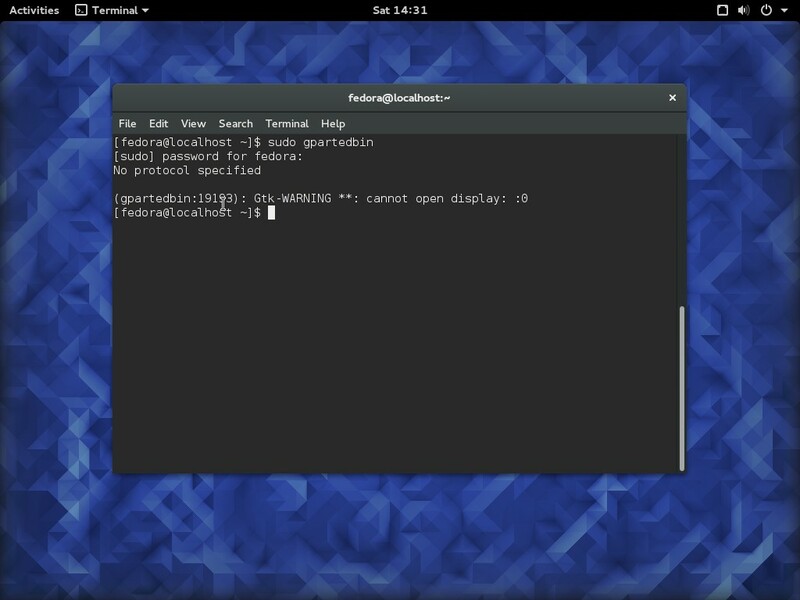 Specifically GParted needs to run as root, rather than your own user logged in to the desktop, and as found in Fedora 23 this is not yet allowed. 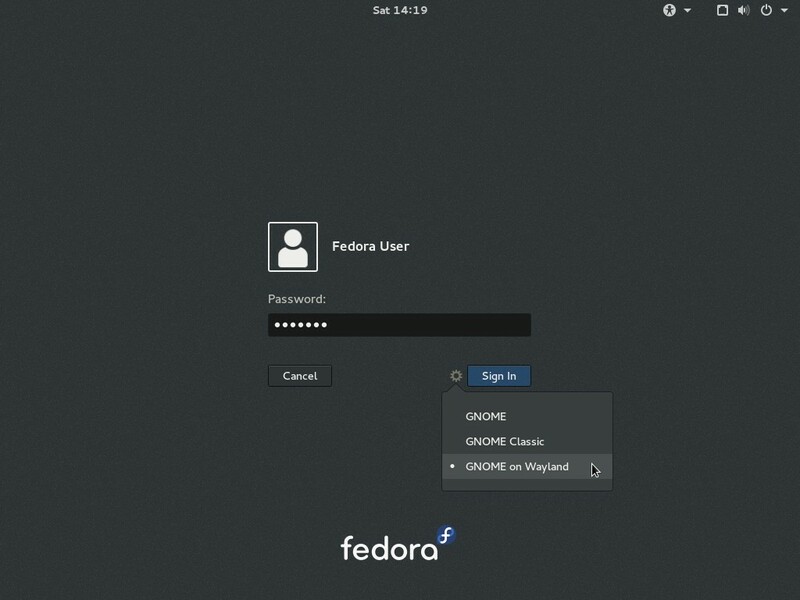 At the login screen select "GNOME on Wayland" rather than "GNOME or "GNOME Classic" to use Wayland. 1) Do not use Wayland. Instead select either "GNOME" or "GNOME Classic" at the login screen. 2017-Sep-08: Update workaround option 2 instructions to only allow root, rather than all local users, to display application on your desktop. See also GParted 0.30.0 Release which includes an interim fix to enable running GParted as root under Wayland.